St. Bernard de Clairvaux Church is a medieval Spanish Monastery cloister which was built in the town of Sacramenia in Segovia, Spain, in the 12th century but dismantled in the 20th century and shipped to New York in the United States. 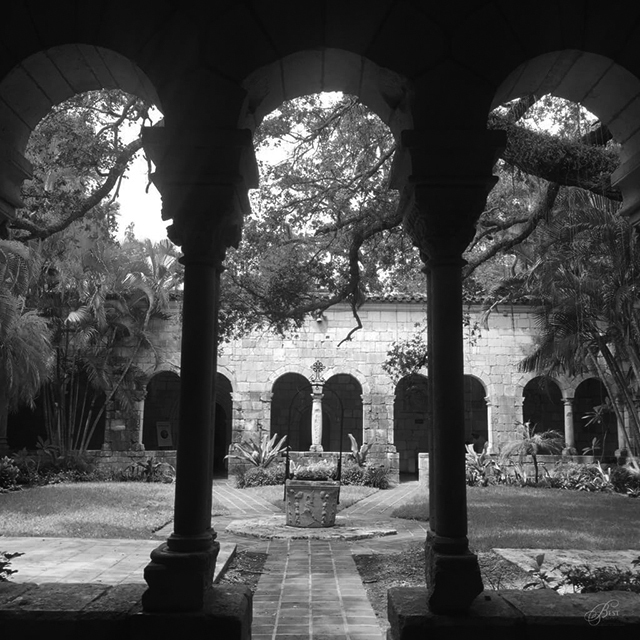 It is one of the oldest buildings in the Western Hemisphere. A total of 6 acres. Public transportation less than one block away from the venue. And easy access to all the principal traffic arteries of the city. Chapel Weddings / Ceremonies With three beautiful Chapels to choose from your wedding can be tailored to your budget, the size of your wedding party, and the number of guests. - The Main Chapel is perfect for weddings with up to 150 guests. - The Chapter House is a smaller Chapel which seats up to 80 guests. 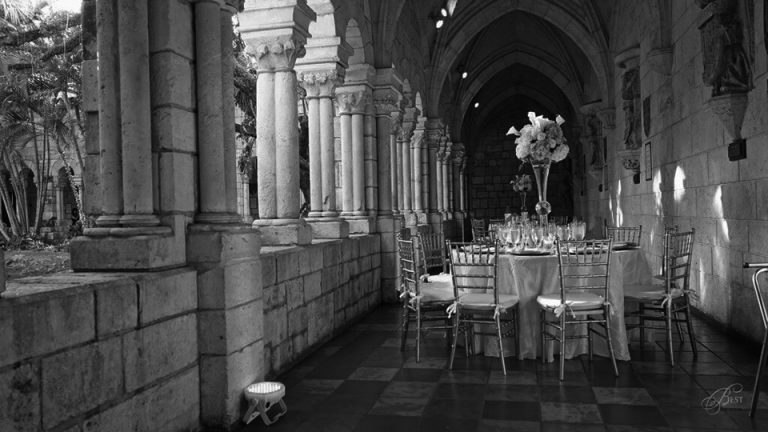 - The French Altar is an intimate Chapel for up to 10 guests. 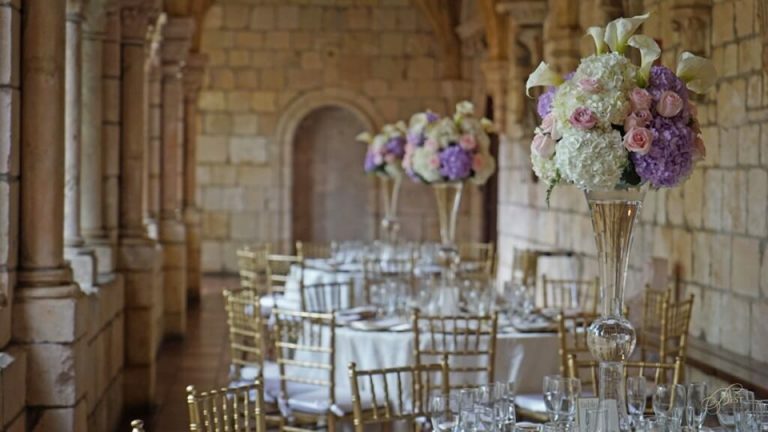 Garden Weddings / Ceremonies Unlike any other South Florida location, the formal gardens of the Ancient Spanish Monastery showcase over 20 acres of rare palms, Spanish oaks, cycads, banyans, flowering trees, and much more. The landscaped grounds, with the 12th century Romanesque and Gothic building as a backdrop, will make for an unforgettable event. 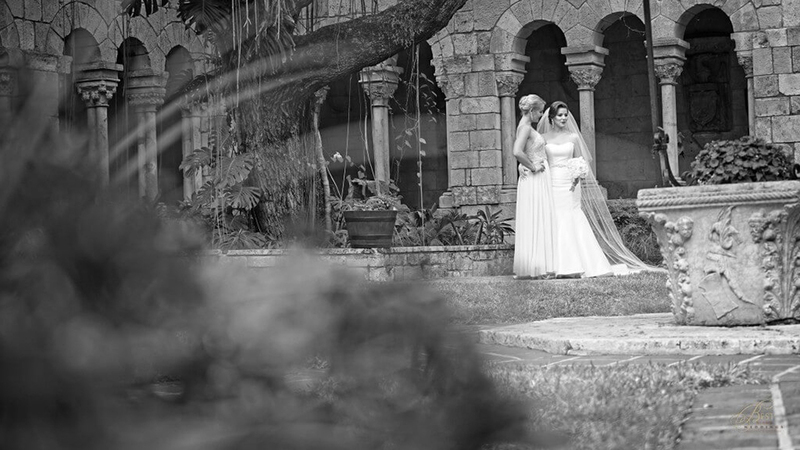 There are five outdoor spaces for weddings: The Loggia, Prayer Well, Banyan Tree, Saviour Garden, and St. John Garden. The Gardens can accommodate up to 300 guests. 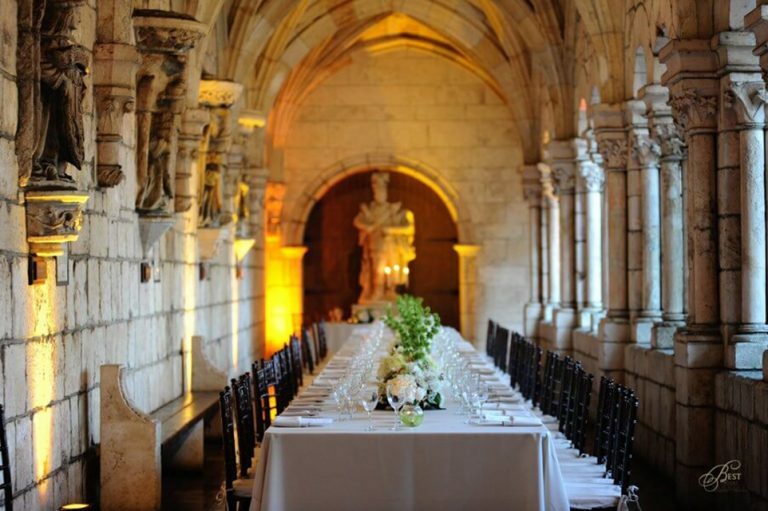 Receptions Receptions may be held in the Cloisters (which are the covered passageways that surround an open courtyard), the Loggia or the Gardens have a capacity of up to 300 people. A cocktail hour may be held in the Gardens or Loggia prior to dinner and dancing. Historical venue with an ancient vibe. Unique, no location like this one. Perfect for the ceremony and/or reception. A lot of space available. 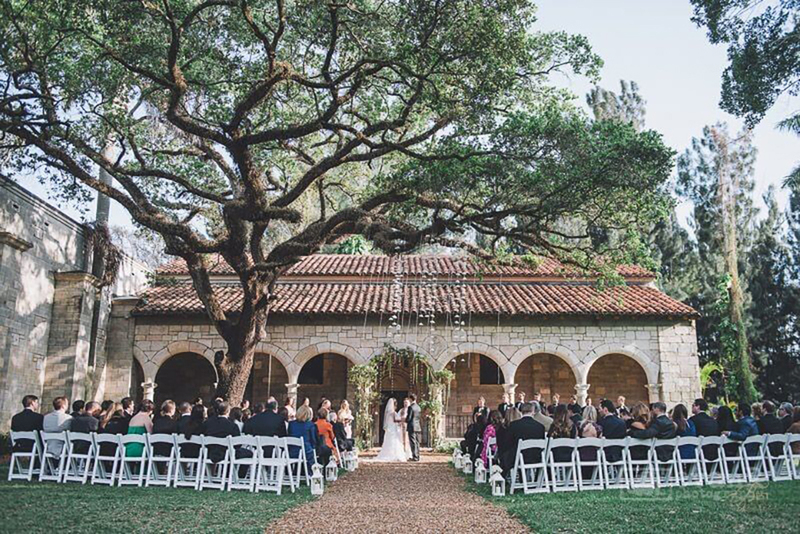 3 beautiful chapels that you can choose for your wedding. Free big parking space. 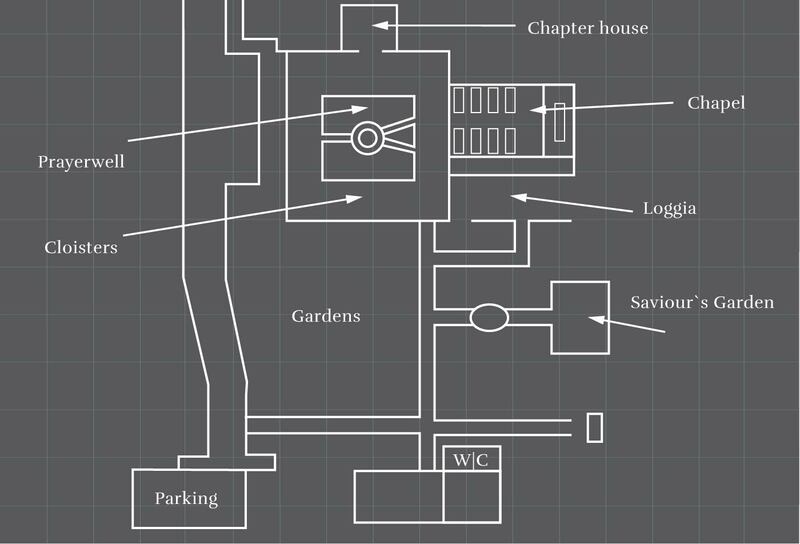 Most of the area is outdoor. Need Portable AC units during the summer. Guests spread out in the venue. 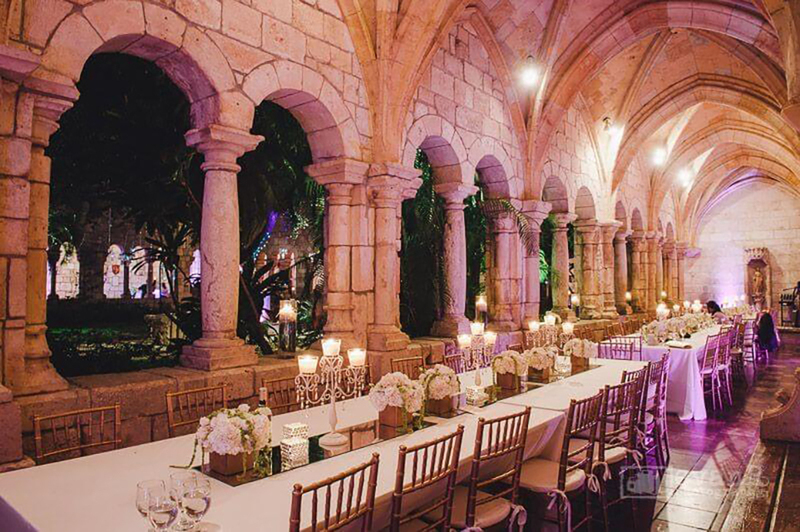 This stunning venue brings an ancient style that can make your wedding unforgettable. Gets very hot on summer and there is not enough A/C. It’s also a huge venue, and the layout makes it hard to be in touch with all of your guests during the reception.